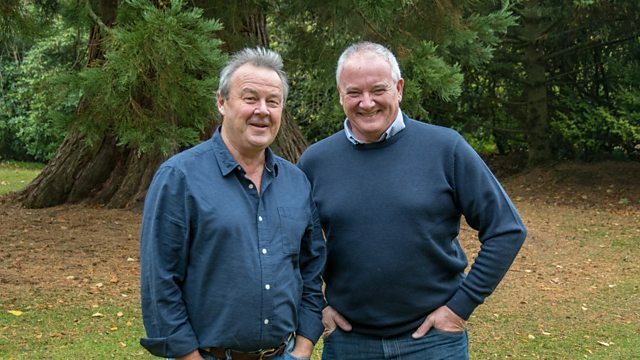 This week Mark and Euan bring you a programme remembering the First World War. We take a look at some of the stories of rural Scotland 100 years on from the end of the conflict. We visit Montrose Air Station which was one of the first air stations in the UK founded before the outbreak of war in 1913. It’s now a heritage centre and we get a tour from the curator, Dr Dan Paton, as well as finding out about the history of the site. We’re also joined in Montrose by Dr Derek Patrick from St. Andrews University who tells us what Dundee and Angus would have been like during war time and about the men who went to fight. Mark visits the Devil’s Porridge Museum at Eastriggs near Gretna Green. It was once the site of HM Factory Gretna, at one time the largest munitions factory in the world. We like our food on Out of Doors and with that in Mind Euan decided to find out about the wartime delicacy Maconochie’s Stew. Made in a factory in Fraserburgh, Euan hears about its origins and even attempts to recreate it for us to try. Euan finds out about the important role dogs played on the front. In particular Airedale Terriers and hears that they were first trained near Arbroath. Quintinshill near Gretna is the scene of Britain's worst ever railway disaster. On the 22nd May 1915, a troop train carrying soldiers crashed into a stationary local passenger train near Quintinshill Junction. Mark visits the site to hear the full story. Mark hears about a recent chance discovery of a map and records by the librarian at the Royal Highland Agricultural Society at Ingliston. Her find uncovered an interesting story about how Scottish farmers helped their European counterparts through the First World War. The area known as The Cabrach in Aberdeenshire is a remote place but at the end of the 19th century it boasted a population of around a 1000. Following the First World War the population was devastated and it has never returned to its pre-war level. Euan goes for a walk around some of the abandoned farms and houses.